Barbara J. Payne, 77, of Lynchburg, VA, went to be with her Lord and Savior on Saturday morning, June 7, 2014, at her home. Barbara Payne was born September 15, 1936, in Philadelphia, PA, the daughter of the late Clara M. Schaul and Thomas Schaul. 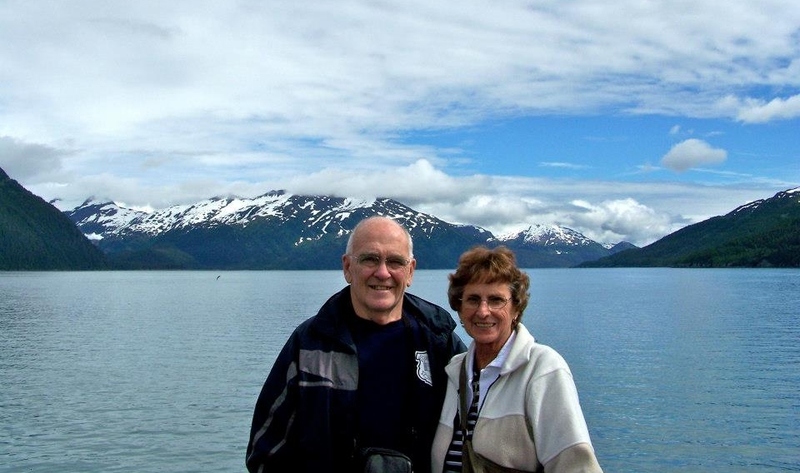 Barbara Payne attended the Philadelphia College of the Bible and served as a pastor’s wife for more than 21 years at Calvary Baptist Church in Woodsville, NH, Wayside Bible Baptist Church in Livermore, ME, and Emmanuel Baptist Church in Ellsworth, ME. She also taught in the elementary school at Wayside Christian School in Livermore, ME, and at Mountainside Christian Academy in Schroon Lake, NY. She served her family and her Lord faithfully throughout her life. She tirelessly ministered to the hurting, the hungry, and the bereaved. Her daughters were proud to remind her that she was Miss Bensalem in Bensalem, PA, in 1954. Following the line-of-duty death of her son, David R. Payne of the Lewiston (Maine) Police Department, July 23, 1988, Barbara and her husband, Rev. Ray Payne, devoted their lives to caring for the families of fallen police officers and grieving fellow officers all over the country. She considered the Law Enforcement community to be her extended family. She was a member of Peace Officers for Christ and Concerns of Police Survivors. Barbara Payne is survived by her four daughters, Beth Williams (and husband, Niles) of Bradenton, FL; Ginny Dow (and husband, Mark) of Lynchburg, VA; Deb Ritz (and husband, Rob) of Lynchburg, VA; and Judith Crotts (and husband, Jeff) of Anchorage, AK; 20 grandchildren; ten great-grandchildren; her sister, Shirley Reese of Fort Myers, FL; one nephew and one niece. She was predeceased by her husband, Raymond J. Payne in 2012; and her son, David Payne, in 1988. In memory of Barbara Payne, friends are encouraged to make donations to Caring Voice Coalition, 8249 Meadowbridge Road, Mechanicsville, VA, 23116. Caring Voice Coalition was instrumental in providing valuable and loving support to Barbara and her family during Barbara’s lengthy illness. Viewing is at 6pm with 7pm service to follow on Monday, June 9, 2014 at Tharp Funeral Home, 220 Breezewood Drive, Lynchburg, Virginia 24502. Internment service will be at 11am on Wednesday, June 11, 2014 at Severance Cemetery, Schroon Lake, New York with reception to follow.